Treasury Casino, which is also known as Brisbane Casino and The Treasure, is a casino in Brisbane, Australia that is operated by ECHO Entertainment Group. It isn’t just offering gambling in the usual sense, but rather is a part of an entertainment complex with multiple other entities, such as bars, restaurants and a nightclub. The resort was established and actually opened in April of 1995 and is still located in the same building it was originally established in. It’s a 19th century building that has been built by following the popular Baroque exterior design style. The historic building holds three spaces full of casino table games and over 1,300 slot machines, all of whom are, of course, fully licensed and regulated. Treasury Casino have three gambling types on the offer, at least from my point of view. Firstly, you can play the so called club poker, casino advantage games (table games) as well as gambling machines, also known as pokies or poker machines in Australia. Club poker is quite popular in Brisbane, which is why there are daily, weekly and monthly poker tournaments running. Don’t worry if you’re a newbie, as tournament buy-in entries are not all that serious, starting as low as $20! For those of you who are looking for some cash game action, Treasury Casino is definitely more than a solid option. Cash games are running daily from 10PM for both, Texas Hold’em and Omaha Poker variations. Blind starting from $2/2 and all the way up to $20/20. These are a subject to changes during the weekends, when poker games tend to get really busy. Casino table games are also always busy and popular, with Treasury not being an exception. All of the most popular table game forms are including BlackJack, Treasury 21, Mini Baccarat, 3Card Poker, Craps, Texas Hold’em Poker, Sic Bo as well as Slot Machines. Roulette and Baccarat can be played in ”Rapid” variations, which allow players to avoid wait time that is to be experienced when playing in a casual environment. These two are completely computerized and do not require a dealer to assist the game. Slot machines, also known as pokies, are bread and butter for Treasury Casino and this is quite clear seeing how over 1,300 poker machines are offered. There’s a pretty diversified range of software providers and creators of these gambling machines represented, including Aristocrat, IGT, WMS Technologies and several others. All players who join and gamble at Treasury Casino are right away entitled and taken as a part of the Absolute Rewards program. 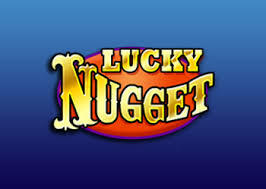 The program is a regular loyalty scheme, meant to reward casino players for their loyalty. It’s all really simple – the more you play, the higher amount of loyalty points you’ll earn. The latter directly correlates with your VIP level. In this particular program, here are three VIP levels, each of whom comes with its own benefits and requirements. Though, for more information, just visit the casino lobby. A huge benefit of this rewards program is the fact that this card will entitle you for a membership at several additional casinos in Australia, such as The Star Sydney, Jupiters Hotel & Casino Gold Coast, Treasury Casino & Hotel Brisbane an Jupiters Townsville. Note that you can get discounted rates, if you’re also playing in the casino. Often the casino will even give you a complimentary room for the whole time of your vacation, given that you play fairly much and for stakes high enough. 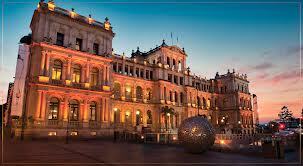 Treasury Casino in Brisbane offers several restaurants that should fit all guests and the taste of theirs. You can choose between typical premium class restaurants of Italian, French, Chinese or Japanese kitchen or alternatively go for the buffet that kind of merges all of these together and offer dining in a bit more casual environment. The prices offered for the buffet are very democratic and you can actually get a great meal for anywhere between $35 to $50, depending on which day you choose. There are two kinds of buffet offerings provided – regular and seafood spectacular. Of course, the number of restaurants and bars is nowhere near close the one that is offered by some of the biggest Australian casinos, but that’s understandable. You will also be able to benefit from more space, as Treasury is usually not as crowded as Crown casino in Melbourne for example. If you’re up for some clubbing, make sure to visit ”The Kitty”, which is a nightclub located within Treasury Casino and is open from Wednesday to Sunday every night until all party animals have done their job! Various quite known DJ’s have visited and performed in the night club too! This is nowhere near to being the largest casinos in the world or even Australia, but what Treasury is good and proficient at is providing a nice playing experience, clam environment and if needed, complete red carpet experience for high-rollers. Hotel can accommodate over 250 guests in the 129 rooms that are offered. These range from classic, democratically priced doubles to loaded suites! As long as you have the budget, Treasury can also be a complete VIP experience, while also being attractive to those with smaller budgets too!